New for 2010, The Hackers Paradise will feature four Shoot Outs throughout the year. Each quarterly Shoot Out will focus on a different category of golf club and will rely on a panel of golfers assembled from local golf courses in the Sarasota, Florida area. The members of the panel are everyday, recreational golfers and are not affiliated with either THP or any golf company. After extensive testing of the featured clubs by the panel, THP compiles the data and publishes the rankings as determined by the independent panel. THP kicks off 2010 with a bang by holding a “Pre Show” Driver Shoot Out (DSO) in honor of the PGA Merchandise Show, where manufacturers introduce their latest equipment offerings for the coming year. THP invited manufacturers to submit their best drivers for testing prior to the PGA Show and we have the results first. While none of THP’s Shoot Out testing is scientific, and we still recommend that every player hit as many clubs as they can before making a final decision on what works best for their game, THP thinks our Shoot Outs are a great way to cut through all of the marketing claims and find out exactly what the typical golfer thinks about the newest crop of clubs. 1. Not a single driver submitted to THP for the DSO performed poorly. To the contrary, most received excellent marks from the panel as a whole. In the final analysis, the differences between the various rankings boiled down to one driver simply fitting a player better than another driver. 2. Panel members hit every driver on a large range with a painted line down the center of the range in order to measure accuracy. 3. All distance measurements were done with Bushnell Rangefinders and GPS units, which have consistently scored very well in THP testing for on course distance measuring. 4. Each panel member used the same new Bridgestone e7 model golf ball for testing every driver. For the DSO, THP wanted a distance ball with a penetrating ball flight, and our staff felt that the new Bridgestone e7 was the perfect choice. 5. There was a definite trend toward certain clubs within each handicap group. Each handicap group consistently performed better with the same two or three clubs. 6. 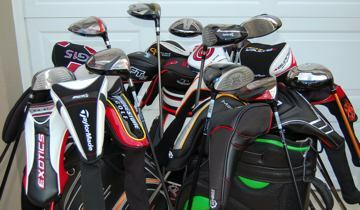 Clubs were available in multiple flexes, and lofts were at or around 10 degrees for each club. Looks (subjective category) – How did the club look to each panel member? Was the club pleasing to the eye and did it inspire confidence? Feel (subjective category) – How did the club feel to each panel member? Did the club feel steady during the swing and solid at impact? Sound (subjective category) – How did the club sound to each panel member at impact? Did the sound inspire confidence, or was it distracting? Distance (objective category) – Overall distance (carry + roll) of each shot. Accuracy (objective category) – Distance of deviation (right or left) from center line. Overall – Mathematical sum of the scores assigned to each of the categories. Notes: Each driver was ranked on a “most favorite” to “least favorite” scale for each category, with “1” indicating most favorite and “22” indicating least favorite. Because they are the most objective factors in the test, Distance and Accuracy were weighted more heavily in calculating the final Overall scores. Each tester was asked to rank each driver based on aesthetics only, and rank them from most appealing to least appealing. Panel members were asked to judge appearance at setup, appearance of the sole, and overall appearance of the driver. Each tester was asked to rank the drivers from most favorite to least favorite based on their own personal interpretation of how the clubs felt during the swing and at impact. The Feel category undoubtedly generated the most discussion among THP staffers because every golfer seemed to use varying criteria. Descriptions such as “texture” and “feedback” were commonly used when debriefing the panel members about their selections in the Feel category, and panel members frequently commented how different each driver felt as they tested more drivers. Each tester was asked to rank each driver from most pleasing to least pleasing based on the sound at impact only. Sound carried a great deal of weight with testers and post-testing discussions suggested that sound can make or break a driver for many golfers. While some panel members prefer a loud sound at impact, others prefer a more muted and subtle sound. Each panel member was asked to hit seven balls with each driver. The longest and shortest shots were eliminated and distance was determined by averaging the remaining five shots. Distance was measured after each shot using a Bushnell laser range finder. As with the Distance measurement, each panel member was asked to hit seven balls with each driver (the same seven shots used for determining distance.) Using a center line painted down the range, distance from center was measured after each shot and recorded. All seven measurements were averaged and drivers were ranked based on the smallest average distance from the center line. To determine the Overall rankings, scores for each driver category were added. 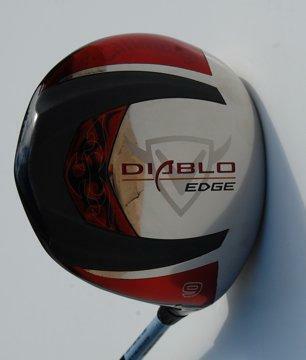 Interestingly, the top scoring driver, Callaway’s new Diablo Edge did not finish first in any of the individual categories. What it did do, however, is score in the top five in all but one of the categories. 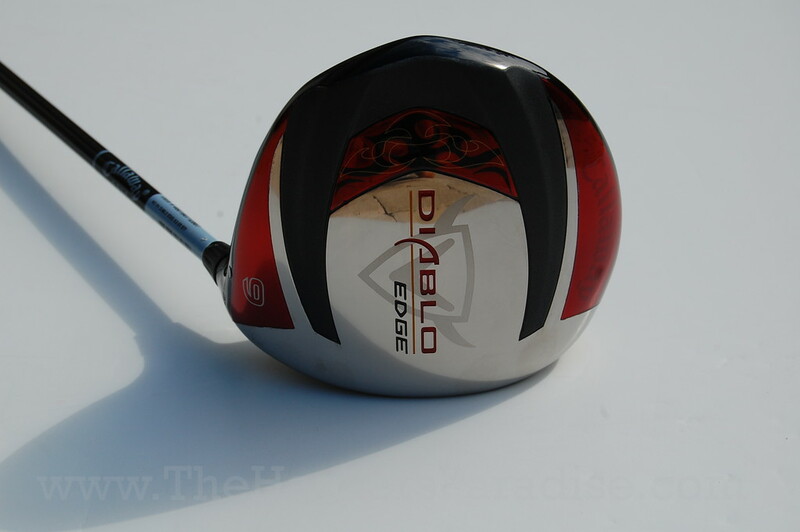 In other words, the Diablo Edge may not be the best at any single task, but it performs every task very well – certainly not a bad trait to have for the longest club in your bag. Overall, what we found during testing is that almost all of the clubs are excellent performers. Scoring for the top spots in each category was always close and, in some cases, the difference between rankings came down to a few yards right or left of center. We also found that every club will feel and perform differently in a different player’s hand and, for the best results in your game, you should test as many different clubs as you can get your hands on. The Spring issue of THP: The Magazine will have a lot more information on this year’s DSO, including players’ quotes, most and least favorite picks, and complete break downs of the results by handicap category. Available March 2010, THP: The Magazine is a must read. Until then, discussions of the DSO are available on the THP forum, where readers can join in and discuss the 2010 DSO with other golfers and THP staff. Join the forum now and let THP know what you liked or disliked about the 2010 DSO, and how your favorite driver fared. The 2010 DSO has come to an end and, as always, we had a blast doing it. THP hopes its readers enjoy learning how players “just like you” performed with the various clubs in their hands. 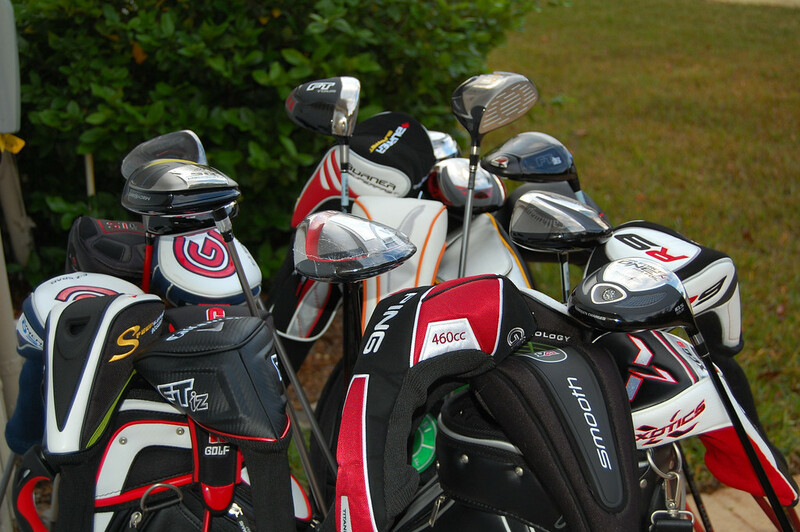 One final (and big) thank you to all of the equipment companies who were gracious enough to submit clubs for the 2010 DSO. 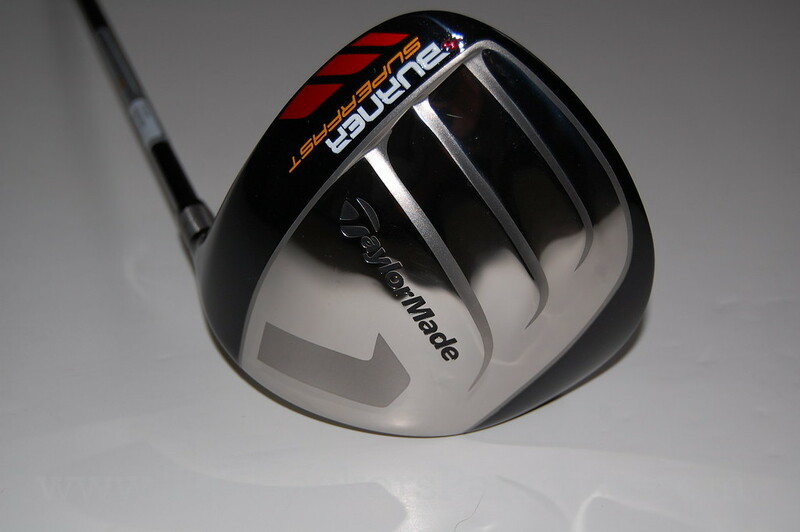 UPDATE: CHECK OUT THE FORUM AS WE ARE GIVING AWAY ONE OF THESE DRIVERS. OWN ONE OF THESE BEAUTIES BEFORE THEY EVEN HIT RETAIL STORES! CONTEST RULES HERE! I’m a bit surprised that the Nike Machspeed didn’t perform better overall. Lots of people despise the look, me not so much. I’m sure it lost points w/ the sound as well. Oh well. 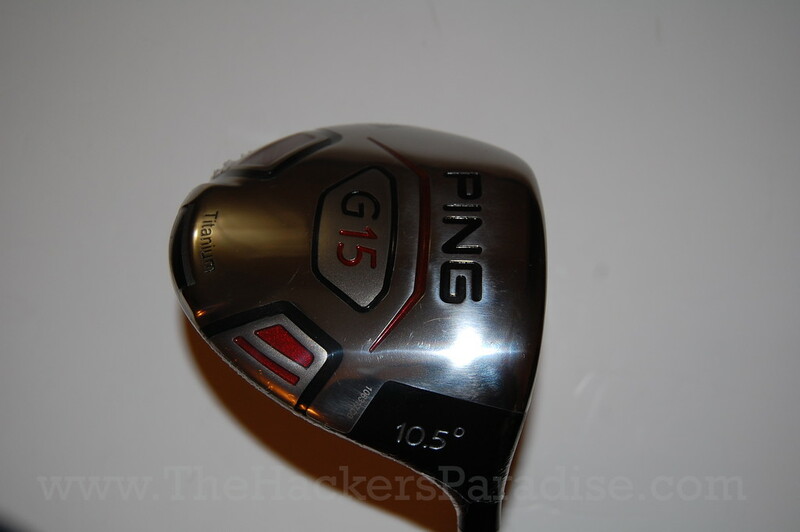 I’m excited to shoot that thing, but that Ping G15 sounds like that’s quite a club as well. Oh, and are some of you serious w/ the TM drivers looking good? We do not put these on monitors during our testing for a good reason. It is all going to be about performance from real world testing. 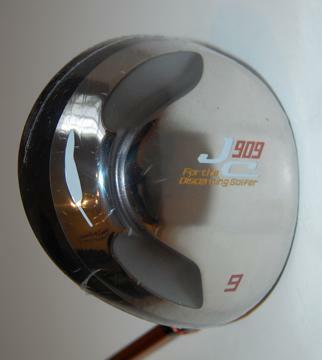 From high to low handicaps it was far from just an average fairway finder. Different strokes for different folks. 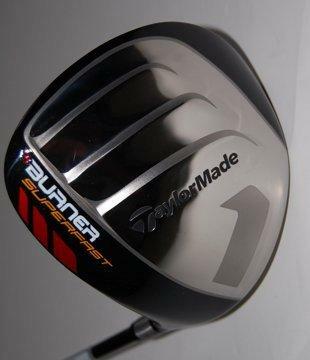 I found the TM driver to be gorgeous. Have you tried the MachSpeed? Some of the testers did not care for it at all. This was a great shootout and got some surprising results (to me anyway). Well done and congrats to Callaway for having the best overall driver. Great shoot out good write up,enjoyed reading the article. Seems odd that the Victory Red would be more accurate than the Machspeed? I thought the Machspeed is meant to be more forgiving… unless in this case accuracy means they tried to shape it and succeeded. We thought so too, but we just measure distance from center and the MachSpeed was longer. 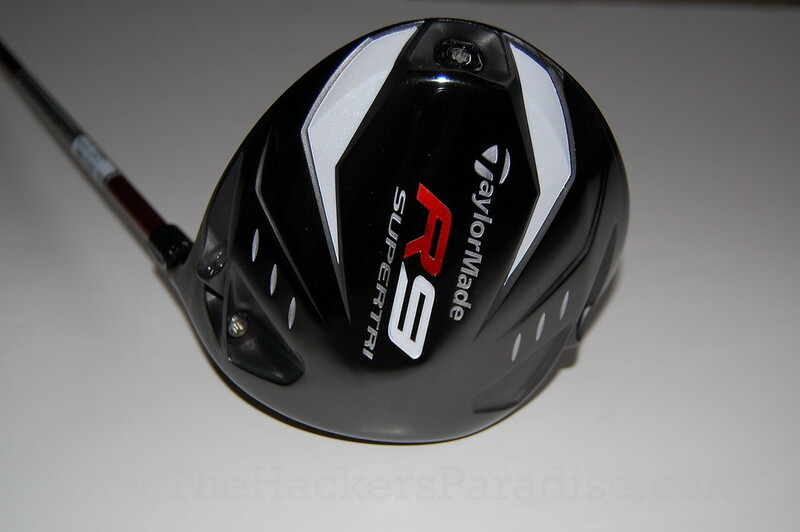 However if you watch our videos on the MachSpeed from the PGA Show, you will see that this driver is LONG. Both are very good drivers. 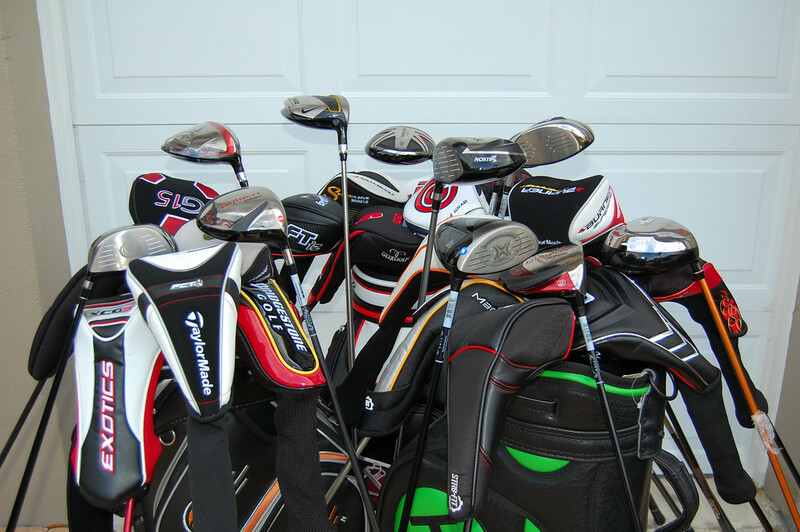 Its nice to see how these clubs compare but I’m also interested in how they compare to previous models. In other words just how much of an improvement are they over what I already have or is it sales hype. That would be a great test, however I am pretty sure most companies would not be willing to supply goods for that testing. I was wondering how much time the testers get to work with the test clubs prior to taking their 7 tested swings? 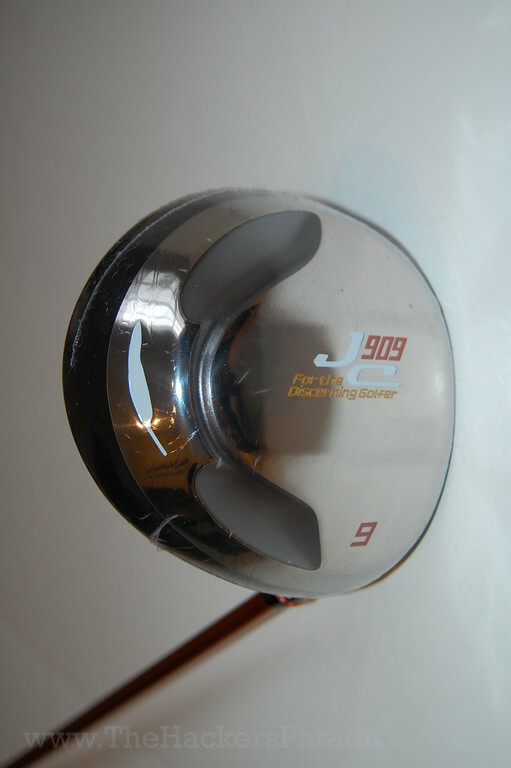 In particular it crossed my mind that with an adjustable club such as the machspeed it may take a bit longer to figure out your optimal setting. There is about an hour before their swings that people try out the clubs. Great reviews. Just wondering if the Nike VR tested was the regular tour model or the Nike VR STR8-Fit model. Thanks. Was the new callaway FT-IZ in the shoot out. The contestants are at the top of the page and it is listed in there. It was in fact in the shoot out. Thanks for the driver shoot out. Just about to update from my older TM R540XD.I have tried the Ping G15 as other publications rank it highly.Very nice but not quite meets my eye right. I was not into the Diablo Edge look but I have it next to the new Burner and was also impressed. The accuracy testing has helped me in the Callaway direction. Long is great but pretty long and straight is better. just wondering where the supertri fell on the distance list? Right outside the top 5 depending on handicap group. More discussion on this has been taking place in our forum. can you tell me what number the ping g15 and the cally FTiz came out in the distance category and how much shorter the were from the diablo edge? Thanks. All drivers were on or next to 10 degrees. and it is the longest i have played , but have good days and not so good , it has a longer shaft so controlling accuracey is harder . 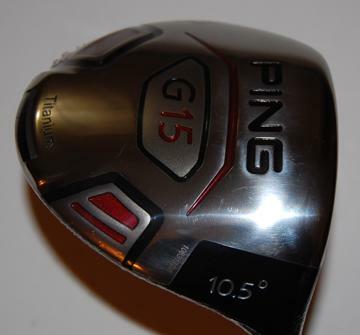 in the distance category, can you tell me what rankings were the G15 and the FT-iz? in total distance, how much shorter was the FT-iz ompared to the Edge? @sickasadog, I play a G15 and I lost a good 15 yards over my HiBore XL. Definitely not a distance driver. But I play it over my other drivers because it is deadly accurate. Through a Whiteboard on it and it is just a tack thrower. thanks or your response Puke. I was hoping someone who got their hands on the mag could share either the ranking in the distance categor or the actual distance difference. Thanks. 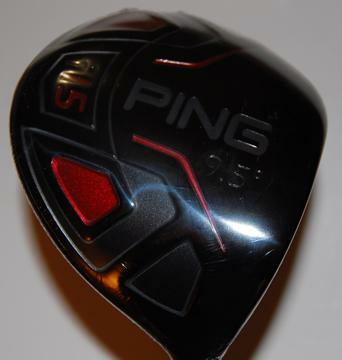 what shaft was in the Callaway Diablo Edge & Ping G15 when tested? Stock shafts in all the offerings. How did the Cobra ZL do on distance compared to the other drivers? Did it finish in the top,middle or bottom half? was the nike machspeed a 9.5 or 10.5? the review states all clubs were around 10… thanks. where did the nike vr str8 come out for distance? how much shorter was it compared to the superfast? 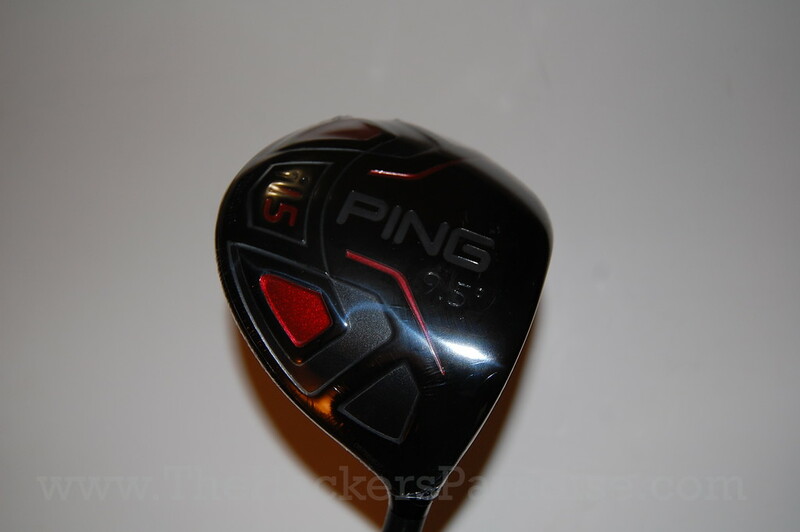 I can’t believe that I’m still playing the Ping G-15. Seriously. After 5 years, the balls still pop off the face and it’s a really straight club. 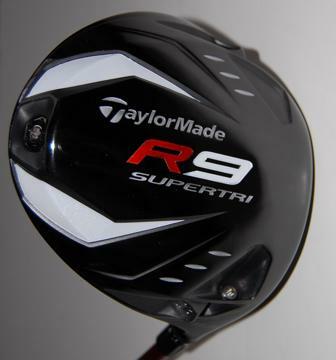 I probably need to upgrade to take advantage of the new technology, but I still like the club and not paying $600 for a new driver.